The UPPSC Samiksha Adhikari Model Question papers are enclosed on this page. The candidates who are interested in UPPSC RO exam can download the previous year question papers of UPPSC ARO for free of cost. Refer the UPPSC RO ARO previous question papers for better preparation of the UPPSC ARO exam. Go through the below sections to get the detailed information on UPPSC Samiksha Adhikari exam. 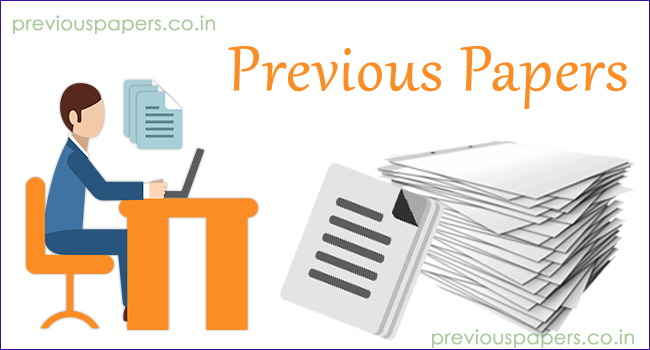 Download the Uttar Pradesh PSC Samiksha Adhikari RO/ARO solved papers and start your exam preparation. Practice the UPPSC Samiksha Adhikari model papers during your regular preparation. The candidates can check the complete set of the UPPSC RO question papers and get the knowledge to gain more marks in the UPPSC exam. Here, we have provided the subjectwise question papers of UPPSC Samiksha Adhikari exam. In the following sections, you can get the other details of the UP PSC ARO exam like Selection Procedure, number of vacancies, exam pattern, and syllabus. The Uttar Pradesh Public Service Commission has released a notification for the post of the Sahayak Samiksha Adhikari & Samiksha Adhikari. The total number of vacancies for the RO/ARO posts are 465. The candidates who are interested can apply for the UPPSC RO/ARO posts on or before the last date. After you have applied for the UPPSC exam, you need to start your exam preparation immediately. For this, you need the syllabus and previous question papers. Scroll down the page for the UPPSC RO ARO Previous question papers and syllabus. Uttar Pradesh Samiksha Adhikari Exam is conducted in two stages. The UPPSC follows a selection criterion to recruit the candidates for the post of the RO/ARO. Refer the selection process provided here. The officials of Uttar Pradesh Public Service Commission is conducting two tiers of written test to fill the vacancies for the UPPSC Samiksha Adhikari posts. The aspirants attending the UPPSC ARO exam can check the syllabus for the written exam. Prepare all the subjects which are given below and practice the UPPSC RO test papers to score top marks in the written test. Download the UPPSC RO old question papers and practice them to clear the written test. By going through the UPPSC ARO sample question papers, contenders will get a clear idea regarding the pattern of the question paper. Practice more UPPSC old papers to understand all the concepts which can be asked in the UPPSC Review Officer exam. As the UPPSC SSA exam consists of written test, the contenders need to work hard and solve the Uttar Pradesh PSC solved question papers to get qualified for the written test. Click on the pdf links provided below to obtain the UPPSC RO ARO previous question papers. Visit official website www.uppsc.up.nic.in for other details of the UP PSC RO/ARO exam.